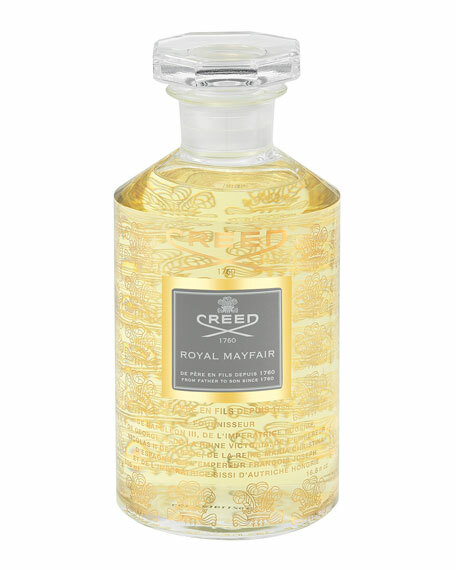 The House of Creed releases Royal Mayfair, a vaulted scent bespoke for the Duke of Windsor. Royal Mayfair debuts nearly 80 years after its original commission as one of the brand's most coveted accords. Known as London's most posh neighborhood, Mayfair thrives as one of the globe's most desirable fashion hubs, toting high-end labels that attract the super-stylish and elite. Originally launched to the public as Windsor in 2009, it was reissued in 2010 and 2011 in limited quantities. Renamed Royal Mayfair, fashionable and daring, it celebrates all men of style and London's premier fashion destination. The Mayfair district is home to our London-based Creed boutique. For in-store inquiries, use sku #1560380.